If I were to take a guess, I'd say most players probably never make it through more than half of Skyrim's story, if that—finishing it at all is a feat, nevermind finishing it fast. 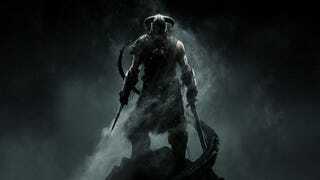 Speedrunner DrTChops recently nailed the new world record for beating Skyrim's story, with a playthrough clocking in at 39:32. The "any percentage" run features a lot of running, platforming, and amusingly, a lot of going around with the starting rags. And yes, dragons. It's Skyrim! The previous world record for Skyrim's story was held by MrWalrus, and that run took 39:41. The difference might not seem like much, but seconds can mean everything in a speedrun. You can check out the leaderboard here, where you'll note that the 39:32 record is actually how long it takes to beat the game without load times, and that the clock stops running when the player gets the final hit on Alduin in Sovngarde. Or you can head here to read up on some of the common strategies.